NBA players weren't the only ones celebrating Mother's Day with special sneakers over the weekend. 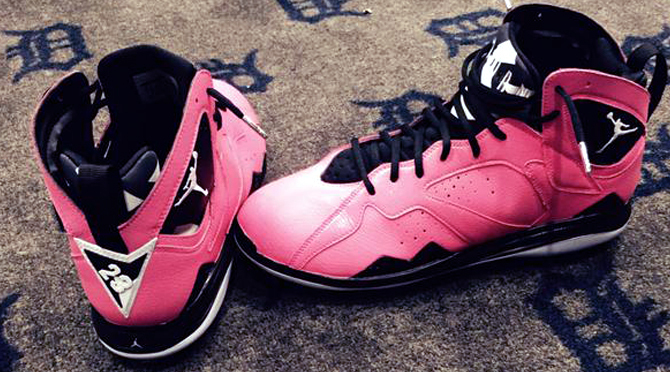 In the MLB there was David Price, who brought out this pink Air Jordan 7 and showed it off on Twitter. Price wrote #thanksmomma, along with #thanksmike to show his appreciation to the Jordan Brand team for floating the special pair his way. Air Jordan 7 cleats are actually at retail right now, but this "Mother's Day" colorway is a player exclusive one for Price.